This luxurious mid-size sport touring F-Series machine has seen all its relatively few miles of use as a member of Bob’s BMW Service Loaner fleet. 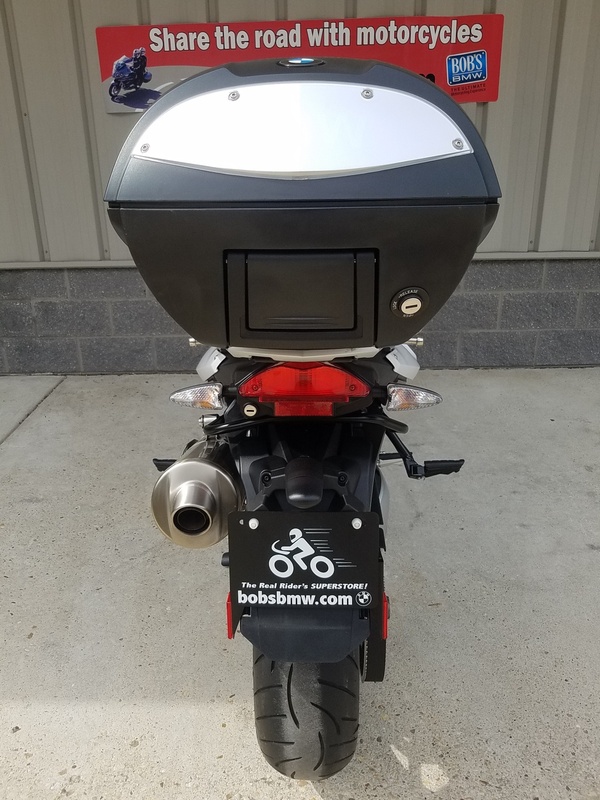 To assure that our loaners are in the tip-top condition each time they’re ridden — an exclusive benefit that Bob’s customers enjoy — the bikes are always super clean and well cared for by the service team. 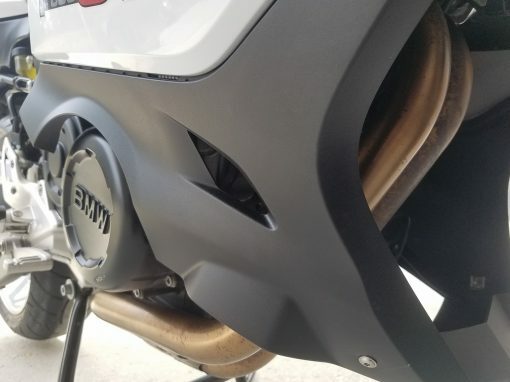 No bikes are more pampered with regular care and maintenance than these! 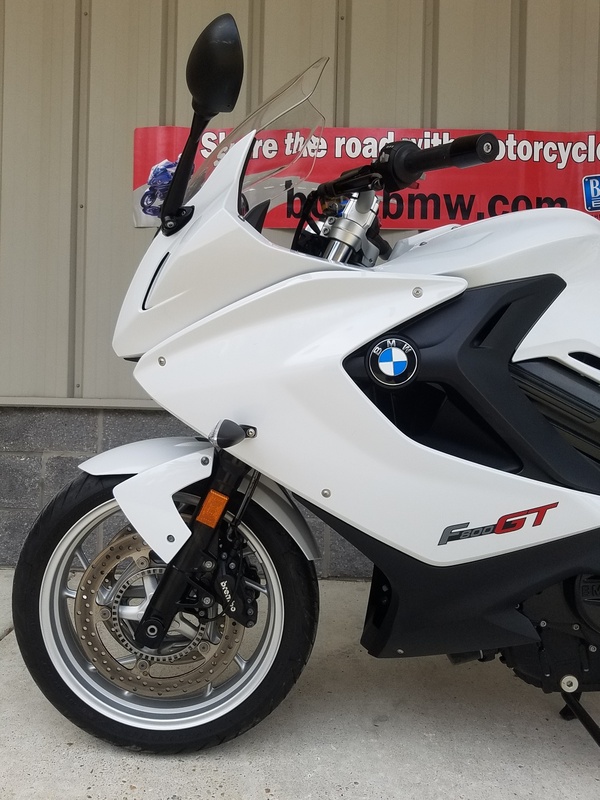 This F800GT, painted in luminous Light White, is a bike that’s not so easy to find. BMW discontinued US production of this model in 2016 and there are simply not enough of them available to meet demand. 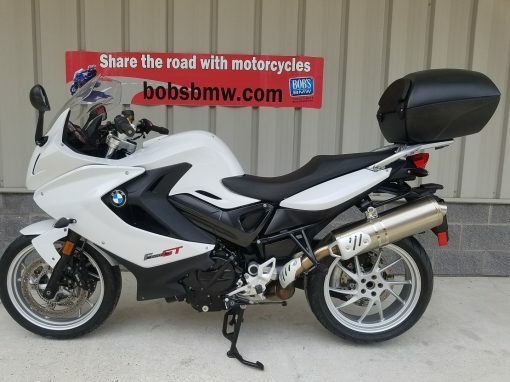 BMW really did a great job creating a light, sporty, touring motorcycle in the F800GT. This twin cylinder, 798cc machine generates 90 hp at 8,000 rpm. 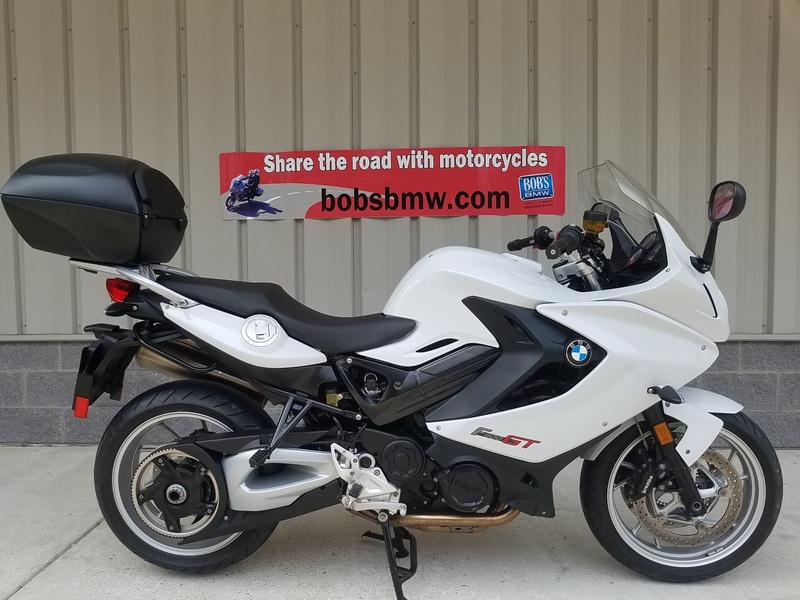 It’s factory equipped with ABS, ESA II (Electronic Suspension Adjustment), ASC (Automatic Stability Control), TPM (Tire Pressure Monitoring), Center Stand, Side Case Mounts, and Heated Grips. 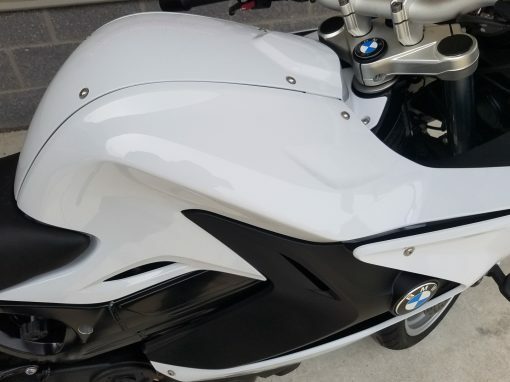 Additionally, this bike has removable BMW 28 Liter Top Case with backrest installed. All together it makes an ideal platform on which to add side cases and your other favorite accessories to meet the needs of whatever style of riding you prefer, whether long distance touring, weekend adventures, carving the corners, or simply as a reliable daily commuter. 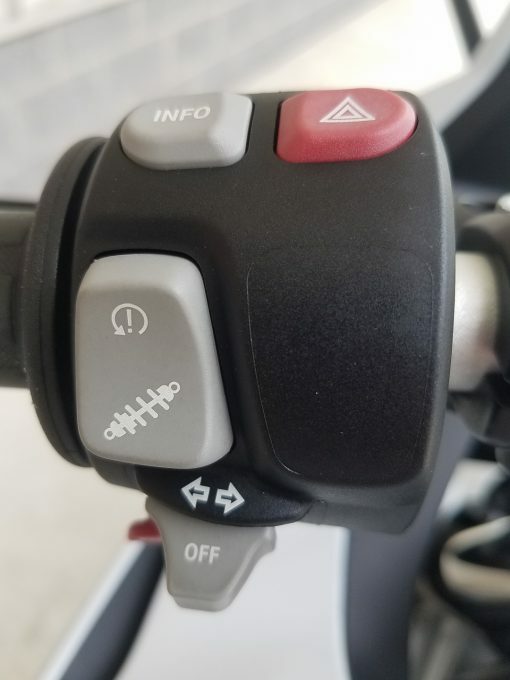 This bike does it all in style and comfort. Cosmetically, you’ll find little wrong with this machine to dampen your appreciation for its good looks. 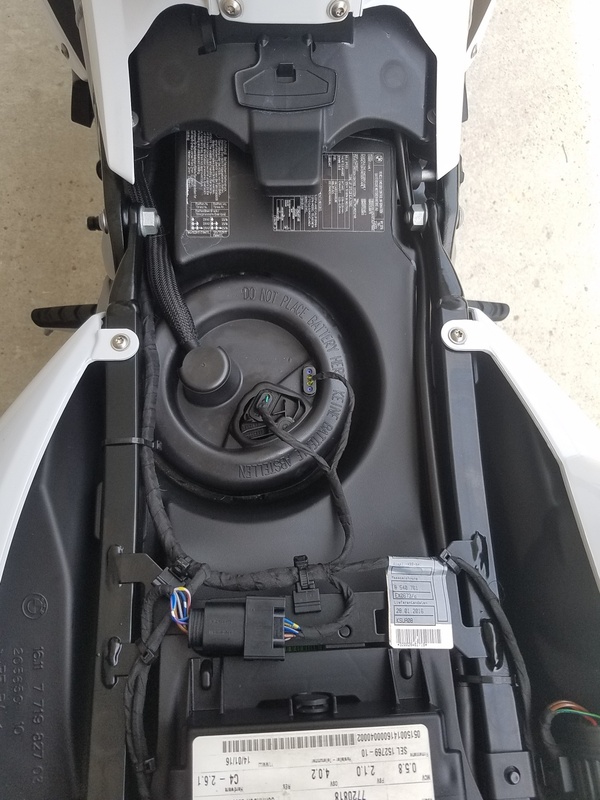 With the exception of the seat (slightly sun faded) and the top case (a couple of minor scuffs) everything else rated a minimum score of 9 (out of a possible 10) on our tough assessment. And that was before our professional detailer did his magic, bringing the shine and newness back up to the Bob’s BMW standard. All services have been completed at Bob’s BMW by our trained and certified BMW master technicians. 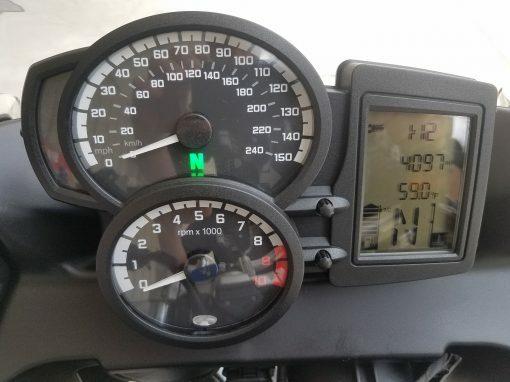 From its original delivery and PDI (pre-delivery inspection) a year and a half ago, and through all its regular service and checkups since then, the bike has received the best possible care. As mentioned above, we treat all our Service Loaners like family — only the best. And now, in preparation for a new full-time owner/rider, the bike has had a Maryland State Inspection (passed, flying colors!) 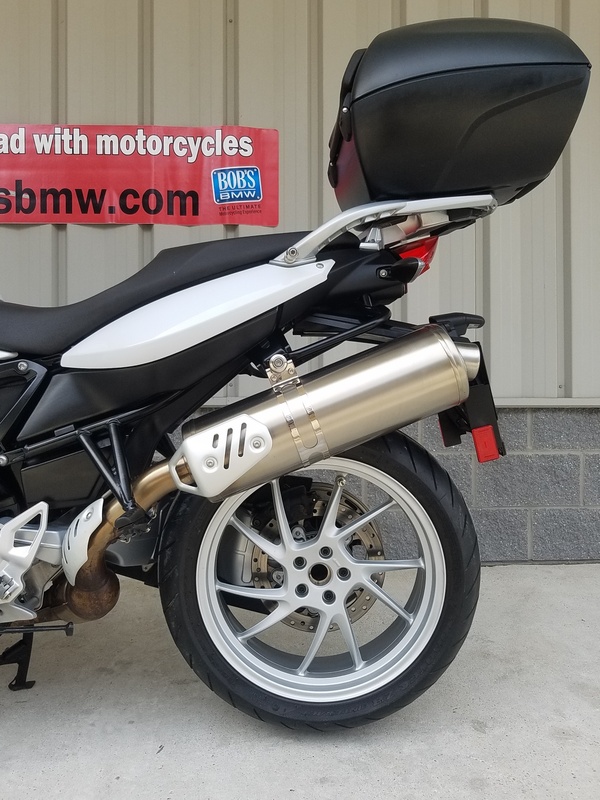 and a final service inspection and test ride to assure that YOU will have a turn-key pleasure experience with no maintenance worries anywhere on the horizon. 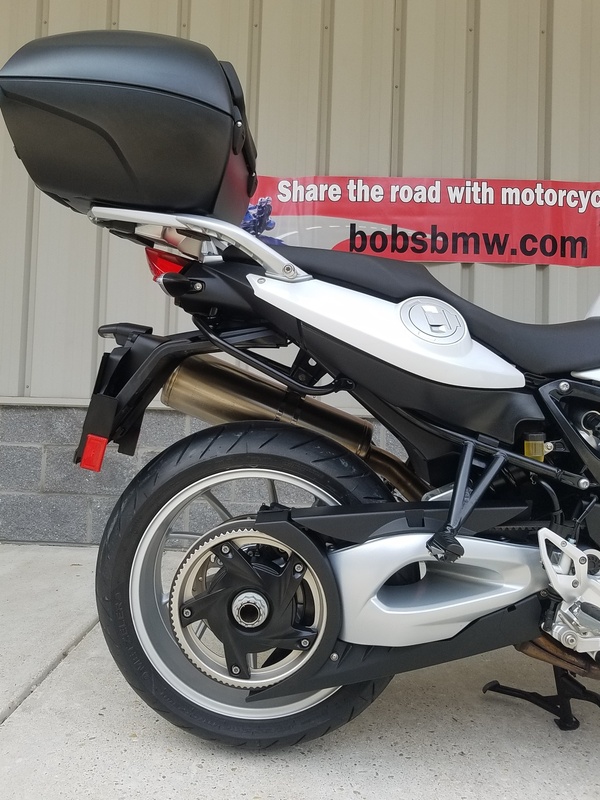 Being so young and in such great condition, this BMW is a Bob’s BMW Advantage Certified motorcycle. This entitles the new owner to a host of benefits including free loaner when they come in for their first service, 30 day major mechanical warranty, discounts and special pricing on a Zurich extended warranty or Tire & Wheel policy (which we highly recommend). It also means that, in addition to the Maryland Inspection, we’ve put it through our own very thorough 38 Point Inspection, and that the tires are fresh with at least 80% tread left. These, in fact, have been rated at 90% + remaining tread. 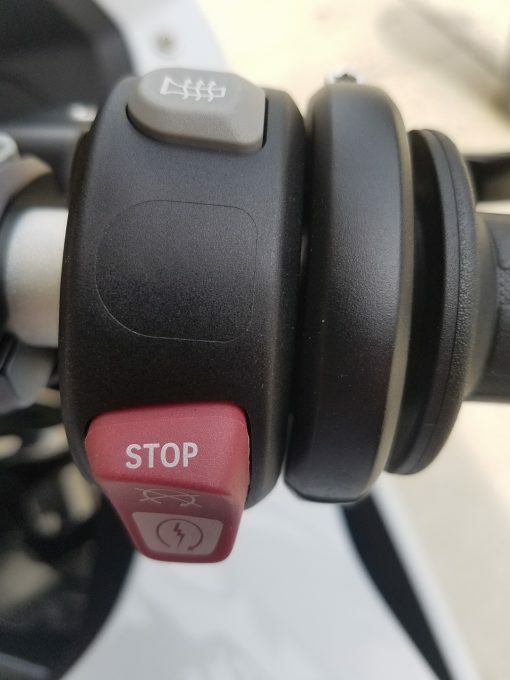 The bike comes with 2 keys, the factory tool kit and owners book. 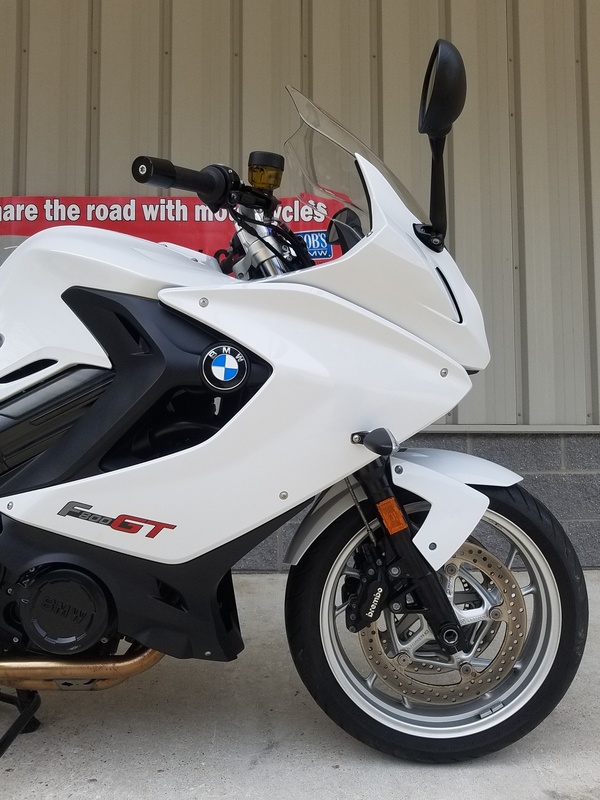 As with the small amount of clean F800GT’s we have been able to offer they sell very quickly. It also qualifies for competitive BMW financing. Make sure to contact one of our certified BMW sales advisors today! 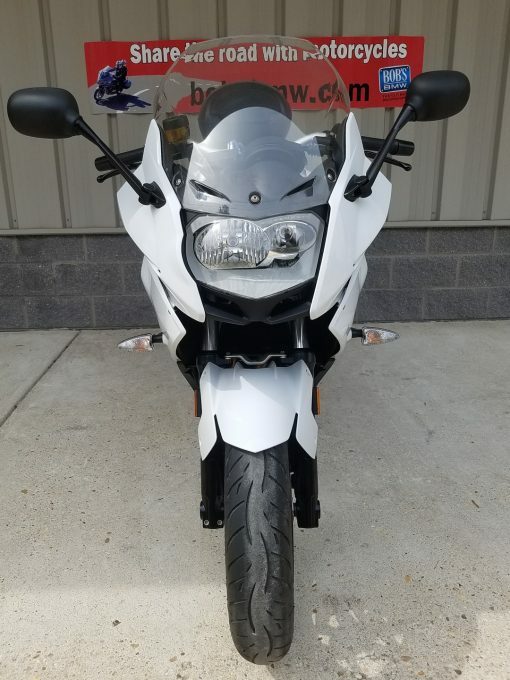 • Low miles — Inspected, Serviced, Detailed, Ready to RIDE!